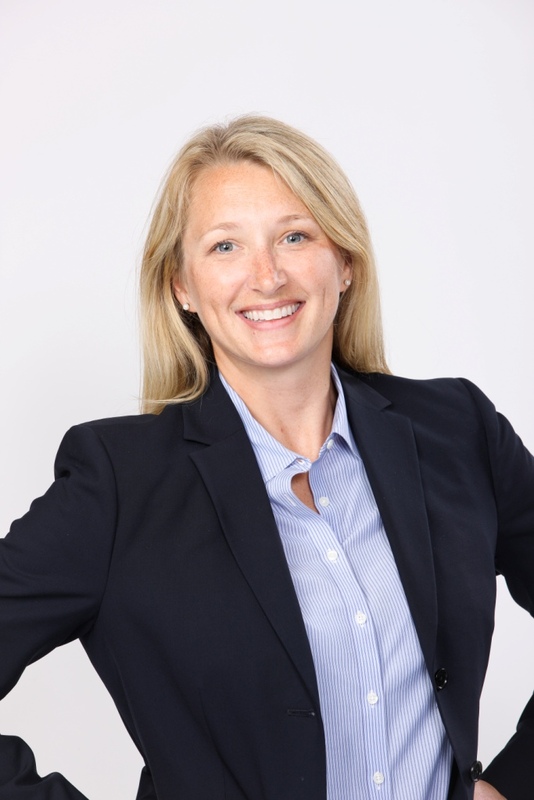 Abby Ludens is the Director of Talent Acquisition & Retention for Mattress Firm. She began her career with Mattress Firm as a Field Manager in 2001 and rapidly progressed into roles as a Developmental Recruiting Specialist and a National Recruiting Manager before taking her current job in February 2012. Abby and her recruiting team source talent for full-time, part-time and internship opportunities with Mattress Firm, targeting candidates for Mattress Firm’s Sales and Management Training Program. Abby: When we go on campus, we are recruiting primarily to identify candidates for our Sales and Management Training Program. We hire a lot of people right out of college into our Sales and Management Training Program. It is the best way to start a career with Mattress Firm, because we promote from within to fill most of our middle and upper management positions. Approximately 97% of our district management and regional sales management team have come through our Sales and Management Training Program, and many directly from college campuses. We also recruit for a much smaller Operations Management Training Program, so students interested in logistics or distribution center management can apply for opportunities in that program as well. What is the typical career progression for a top quality new hire that performs really well on the job? Abby: For a top performer, it will typically take about 8-12 months to move into a store-level management role with Mattress Firm. To move into an Area Management Role, our first level of multi-unit management with responsibility for multiple stores, it will take about 16-24 months. To move into a District Management role – about 24-36 months. There is a lot of opportunity for advancement at Mattress Firm for someone willing to invest the time and effort! Abby: We spend a lot of time recruiting students in business, communication, psychology and similar majors because we have had a lot of success hiring students from those types of majors, but a student’s specific major or area of study itself isn’t really important in our evaluation of him or her as a candidate for the Sales and Management Training Program. We are looking for well-rounded candidates who have been successful inside and outside the classroom, regardless of major. Abby: Go to the Careers page on the Mattress Firm website and click on the “Apply Here” link under Opportunities. The will be able to select their language of choice [English or Spanish] and target states and cities, review position descriptions for available jobs, create an applicant account, and apply online. Abby: We look for passion – it’s one of our core values. Show your passion for something – a job, a cause, an extracurricular activity – and be able to talk about why you are passionate about it during the interview. Passion goes a long way in our organization. We look for experience beyond the classroom – extracurricular activities, volunteering, jobs and internships. We are a very social organization, so we look for students with excellent social, organizational and time management skills. Involvement in student government, student organizations, Greek organizations and athletics – both intercollegiate and intramural – are indicators of that a student might have the skills, attitude, and competitive spirit we are seeking. Regardless of their major, I think all students should take some classes in public speaking, accounting & finance and writing – particularly grammar. Not having these fundamental skills in communication and business will hamper your ability to advance with our company. Abby: If you can, study abroad, learn another language, do things that will expand your skill set and cultural experience. College is when you have the time to do this, so take advantage of every opportunity you can. Abby: Learn how to manage your time and set priorities, and realize that you are probably not going to work a Monday-Friday, 8-5 schedule. In most jobs, you are going to spend a lot of time at work, and you are going to miss some of those football games, parties and events you’d like to attend. In your first few years out of college, don’t be afraid of the hours. Throw yourself into it. If you work those hours, and you work really hard, you’re probably going to grow at a faster rate. Working evenings and weekends – that is going to happen; but if you put in the hours, the rewards will come. And, start weaning yourself off of naps! Even though we’re a mattress company, we don’t get to take naps during the day! Abby: Not being prepared for the interview. Most students know to come prepared with questions about our company. While you will likely have time to ask questions during the interview, don’t ask questions you can find the answers to online. Asking really basic questions. Ask meaningful questions that you can’t read about on our website. Ask questions about the culture, a day in the life, growth opportunities — questions that will help you understand if ours is the right company for you. Not being unable to convey how their extracurricular experiences have prepared them for the real world. These experiences do help you in the real world . . . you just need to think about how to tell those stories prior to the interview. Not dressing professionally. We don’t care how many suits you have while in college, as long as you have one good one . . . and keep it ironed! We know when you get a job, you will expand your professional wardrobe; just show us you have a sense for what is professional and what is not. Abby: Students who are able to build rapport and let their personality are always impressive. An interview, unfortunately, can lend itself to a stiff, sterile environment where it becomes hard to see a candidate’s personality. Do your best to avoid canned interview answers.Students who are able to let their personality shine always stand out. Students who come to our pre-interview information sessions and other recruiting events events tend to stand out from the rest. Having the opportunity to get to know candidates outside of the interview room tends to be pretty important during our selection process. The more opportunities we have to positively interact with you, the more likely we will remember you as a top candidate. Abby: Your GPA is important, but it’s not everything, and once you land that first job it becomes less and less important. A well-rounded education is more important than GPA, so get involved outside the classroom. Your education is more than just the classes you take; at least it should be! Your group projects in school are really important. Being able to work as part of a group and understanding group dynamics are both really important once you get out of school.